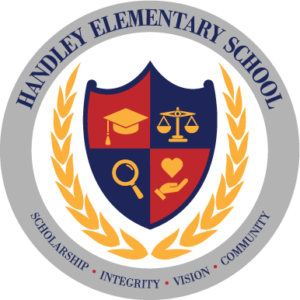 Welcome to Academic Outfitters online store for Handley Elementary School. From this page you can access all of the products we have to offer for your student through our online store by clicking the “Shop Online” button on the right. We have also provided links to our in-store shopping flyer and the school’s website. Please check back often for school specific and store wide sales information and other happenings. Jump to the front of the checkout line by creating an account in our system and get sale notifications.